Our Multi-Week packages are a great way to schedule a series of 1-hour lessons in advance for you or your child! 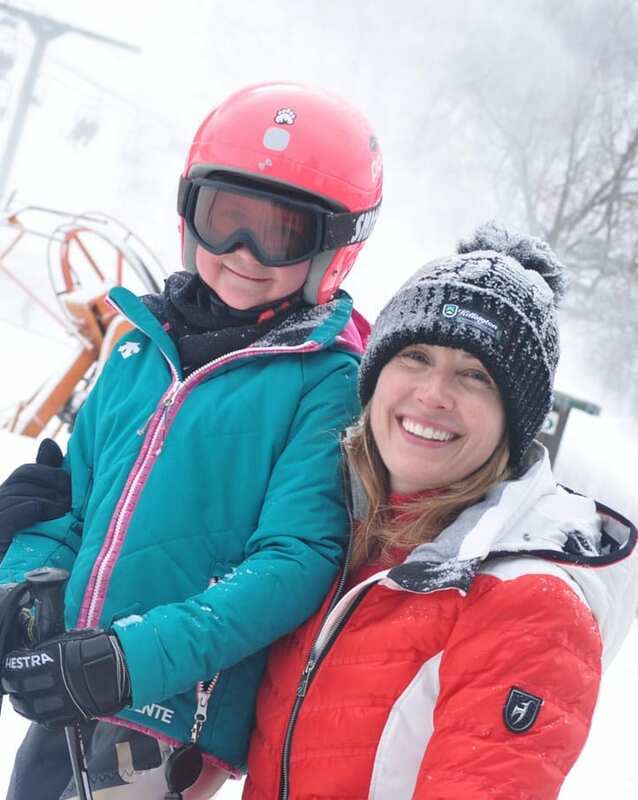 Participants who pay for our 6-week Weekday program will receive a 7th week free – used it for a make-up session or as some extra time on the slopes! When you sign up, choose only the items you will need: Lessons, Lift Tickets & Equipment Rentals. 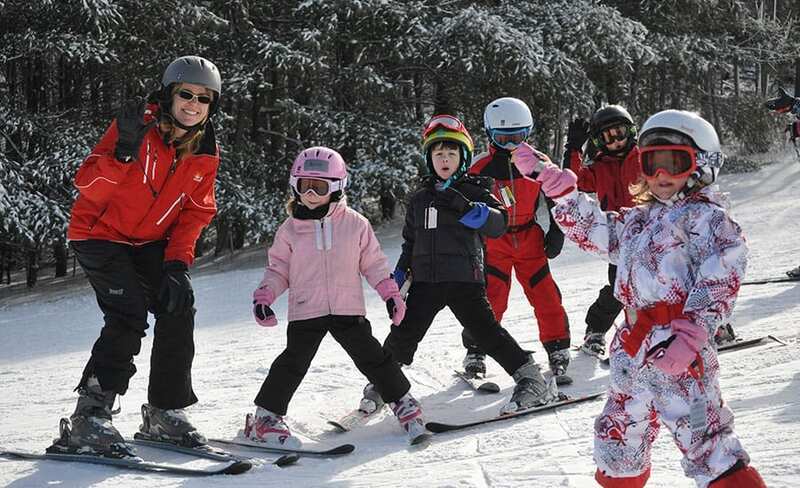 Tuesday through Friday nights, we welcome beginner and intermediate skiers ages 5yrs. and up, and snowboarders ages 6 yrs. and up. Simply choose a night and time that is best for your child, and come for seven consecutive weeks at the same date and time. A mandatory parent meeting on your child’s first day will begin 15 minutes after their lesson start time in the Bear’s Den. This program kicks off the evening of January 2nd, 2019. Thursday mornings and evenings we welcome adult beginner and intermediate skiers and snowboarders. Choose either a morning or evening session, and keep that appointment for 7 consecutive weeks. An orientation meeting will take place on the mountain during the first lesson, when you meet your instructor. The adult program begins the week of January 2nd, 2019. Lift Tickets purchased as part of these Weekday Programs will be honored from 3 pm until Close for all evening sessions, and 10 am until 5 pm for the daytime Thursday sessions. Mount Peter Season Pass holders do not need to purchase the Lift Ticket portion of the Multi-Week Weekday Programs. We apologize, but due to time constraints we cannot provide late arrivals with extended lesson time. At Mount Peter, everything is ACES for kids and adults! ACES is our Accelerated Continuing Education for Skiing or Snowboarding. The educational program is geared for all beginners and intermediates of all ages. That includes youth skiers 5 yrs. old and up, snowboarders 6 yrs. old and up, and adults who want to learn to ski or snowboard, or just improve the skills they already have. ACES program lessons are 1.5 hours each. We guarantee a maximum student to instructor ratio of 5:1, which ensures plenty of personal attention over the course of the 7-week program. Program pricing is for 6 weeks; the 7th week is included as a freebie! Participants sign up for one of the scheduled lesson times, and ski or snowboard with their instructor every consecutive week on that day. For parents enrolling a child, please note that a mandatory meeting will be held in the Bear’s Den fifteen minutes after the start of your child’s first class. The 2019 ACES Program begins Saturday, January 5 or Sunday, January 6. Available lesson times include: 9:30 am, 11:30 am and 1:30 pm. You must purchase a Lift Ticket for your chosen days, unless you are a Mount Peter Season Pass holder. Packages are available for people who need rental equipment. ACES will not be held on the weekends prior to Martin Luther King Day (Jan 19/20) or Presidents’ Day (Feb 16/17). Club Mount Peter is a 7-week long, full-mountain exploration experience designed for skiers and snowboarders ages 8 to 16. Give your child the edge that comes with having one of our certified ski instructors teach them to ski or ride the mountain like a pro! The program requires participants be able to ride a chairlift alone, and ski or ride intermediate (marked blue) terrain comfortably. Club Mount Peter meets weekly from 9 am until 12 noon on Saturday or Sunday mornings beginning January 5th or 6th, 2019. A mandatory parent meeting in the Bear’s Den will take place at 9:45 am on the first day of the program. Mount Peter Season Pass holders do not need to purchase the Lift Ticket portion of the Club Mount Peter Program. We apologize, but due to time constraints we cannot provide late arrivals with extended lesson time. Club Mount Peter will not meet on the weekends prior to Martin Luther King, Jr. Day (Jan 19/20) or Presidents’ Day (Feb 16/17). Sign up by December 9th, 2018 to get the special pre-season rate! All of our popular programs and clubs fill up quickly, so reserve your space early to avoid missing out. Questions? Call us at (845) 986-4940, or stop by our Customer Service office between 9 am and 5 pm, Monday through Friday. You can also download and complete enrollment forms here. Helmets are not required or included – they are available for rent.